Go ahead and be a Pansy! June 11, 2011 Gary Thompson ... "Your Utah Realtor!" GO AHEAD BE A PANSY! I first started thinking about this when I went to my local nursery about the first week of April. We had one good day of sunshine and I got a bug about putting in some bedding plants. But realized when I got there that there were no plants ready this early and it was actually much too early to even consider putting them in, that is except Pansies. So I looked and what they had picked up some blues and yellows and marched home to put them in along my front walkway. Turns out pansies are very hearty and can stand the cold temperatures, even frost. So I put them in and as the weather has improved a little (it’s still mostly cold and rainy), the Pansies have come alive and brought some color to my otherwise dreary walk way. It seems to me that Pansies are getting a bad rap – I’ve mostly heard this term used to describe someone who is less than a man or a bit soft. My experience with Pansies tells me that perhaps we are getting this wrong. 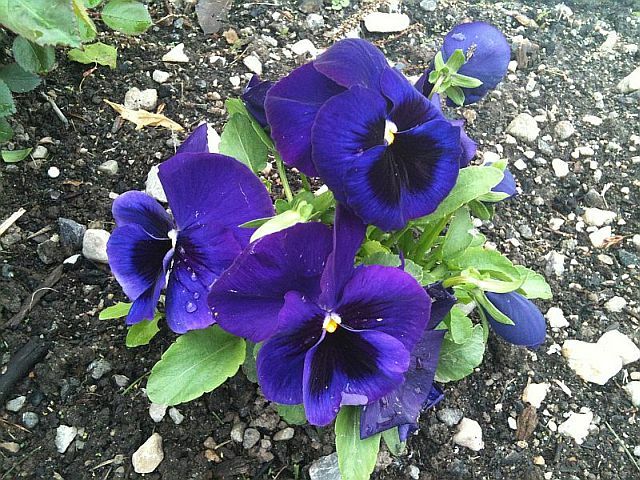 For a hearty splash of color – even in the coldest weather try some Pansies! And while you’re at it be one yourself!